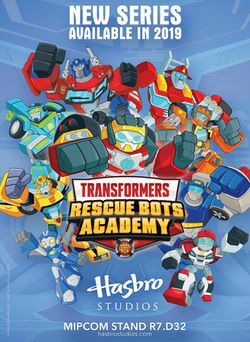 Transformers has had many shows over the years but Rescue Bots is one of the few installments that is actually not an action title. That’s a pretty unique twist in itself. It’s off to a fun enough start after the first 2 episodes. I’m not expecting too much from this one, but I don’t expect it’ll make any real mistakes either. It should be pretty consistent. I’ll have a review for it once the series is finished.